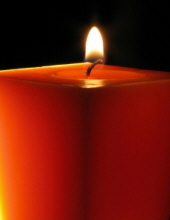 Dennis Jon Watson, age 56, of Morrison passed away January 12, 2019 at his home in Morrison. Dennis is survived by his Mother Barbara Watson of Northglenn and his son Spencer Watson of San Francisco. He is predeceased in death by his Father John A. “Dell” Watson and sister Debra Watson. Dennis will be remembered as an admired and respected stagehand in theatre, film and exhibition. He served for 34 years with the Denver Theatrical Stagehand Union # 7 including two years as the Business Agent. In addition to sharing his talents with many local productions including Opera Colorado, and Central City Opera, he shared his gift with numerous national touring companies including Cats, Les Miserable and Phantom of the Opera. Outside of his work in the theatre Dennis loved sports and was an avid follower of the Broncos and the Rockies. He will be remembered by friends and family for his warmth, kindness, quick wit and the many practical jokes promulgated on friends and family. Detail of the services will be announced at-a-later date. In lieu of flowers please send donations to www.MichaelJFox.org. To send flowers or a remembrance gift to the family of Dennis Jon Watson, please visit our Tribute Store. "Email Address" would like to share the life celebration of Dennis Jon Watson. Click on the "link" to go to share a favorite memory or leave a condolence message for the family.